These are the world’s most amazing and unusual hotels. Each hotel has an exclusive design and is built for particular groups of guests. This hotel is built in the shape of a beagle. 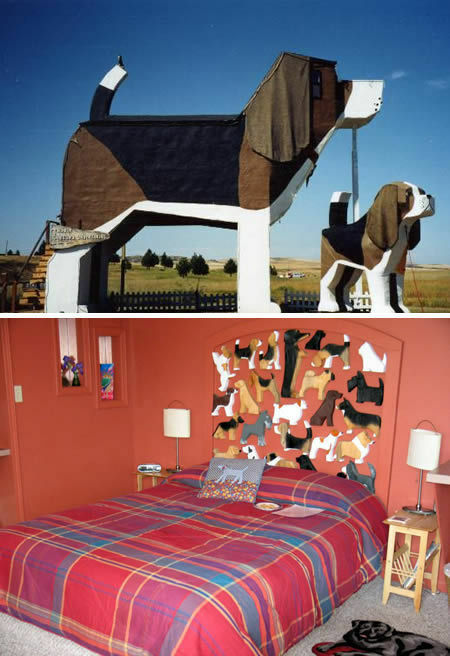 The interior is also decorated with dogs. 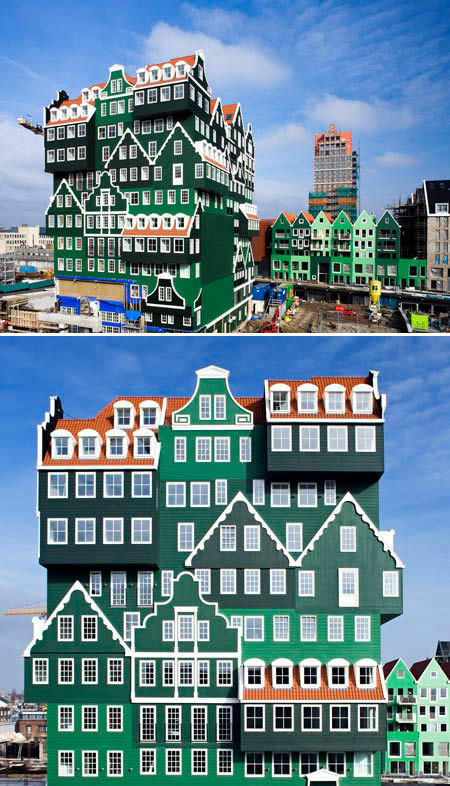 Each hotel looks like a puzzle of small houses placed on the top of each other. 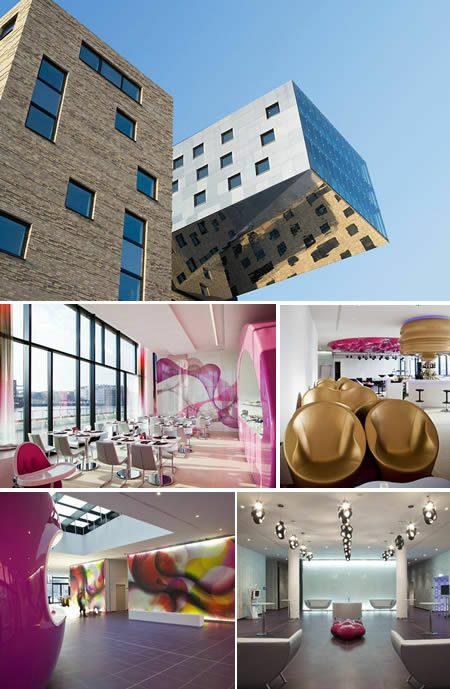 The design was developed by WAM Architecten Company. The largest hotel in this hotel chain is 11-story building with 160 rooms. It seems that this French hotel was built for a huge hamster. For 99 euros per night each person can feel what it is like to be a hamster. 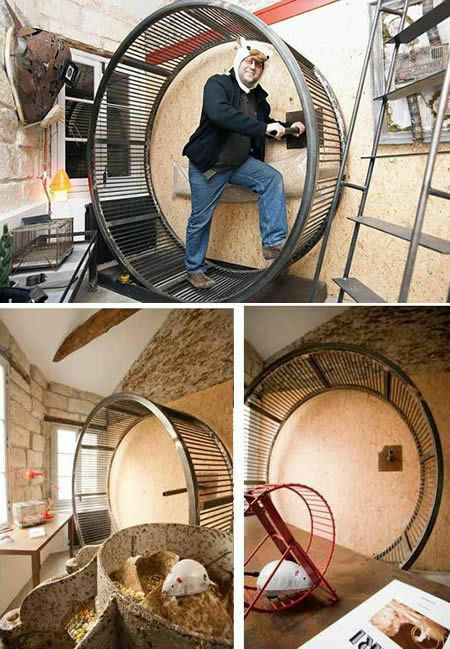 Hotel guests can even run on the big hamster wheel. This is an interesting hotel located in Germany. It is a real paradise for car enthusiasts because all beds, tables and rooms are automotive-themed. This Chinese style 10-story hotel was built in 2001. It looks more like giant sculptures. No wonder this hotel is listed in the Guinness Book of Records as the “biggest image building”. 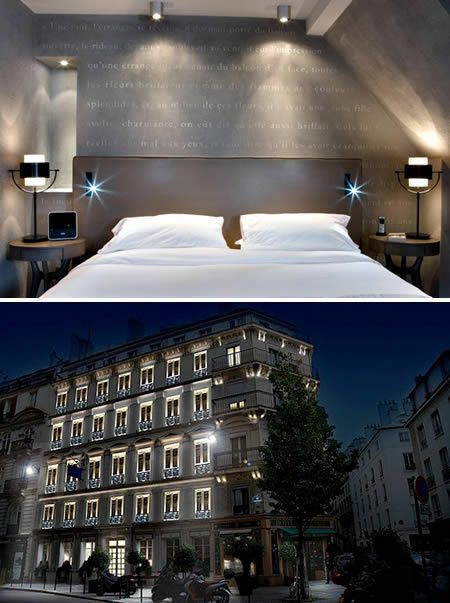 This hotel designed by German architect HA Schult is located in Italy. 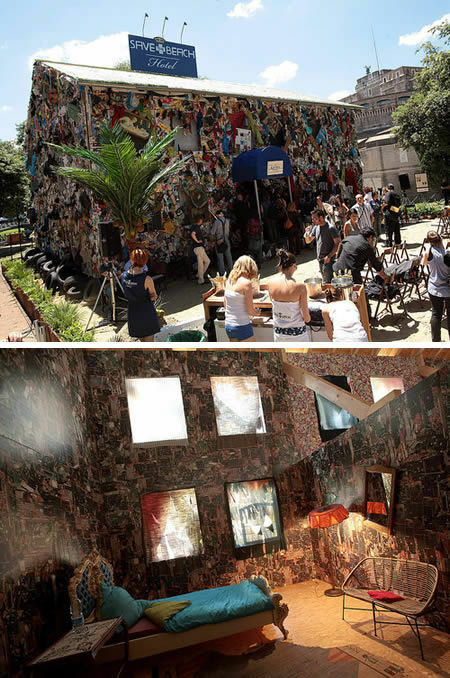 It is made out of 12 tons of garbage found on European beaches. It features five rooms and reception. The ceiling and walls of this hotel are decorated with guitars and other musical instuments and equipment. The designers assure that the whole building is supposed to remind musical abstraction. 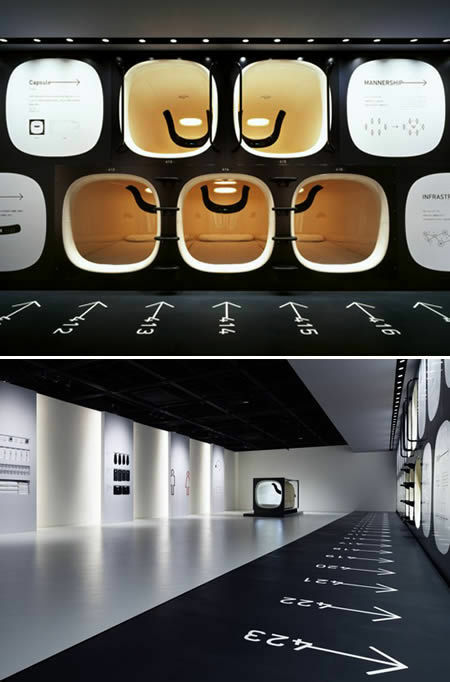 This is the first capsule hotel built in Japan in 1979. It doesn’t have rooms. It has only capsules. This is the world’s first hotel designed for art and literature lovers. It is located in France. The walls of each hotel room provide good sound insulation for guests to read books in complete silence. Such hotels now appear in different countries around the world. 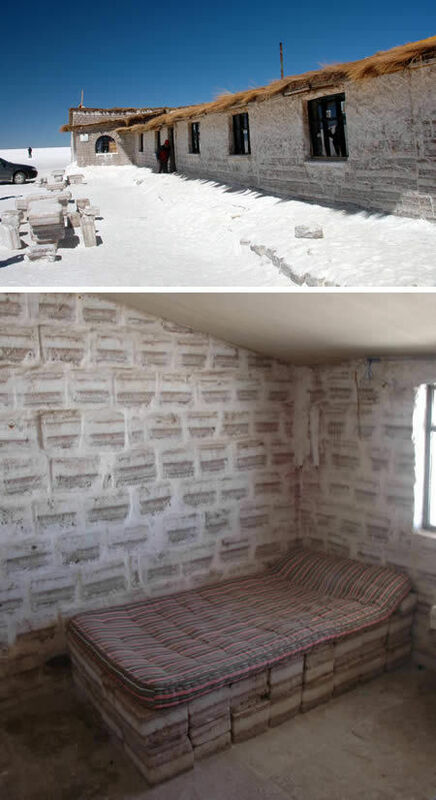 But the Salt Hotel is the only hotel in the world built completely out of salt (salt bricks, salt roof, salt floor, etc.). It is located on the east coast of the famous Salt Flats in Bolivia. Not sure about that salt hotel. I would like to try them all, I don't like salt! !